INTERVIEW REG VARNEY FOR TV. When ITV celebrated it's 50th Anniversary I was contacted by the production team. 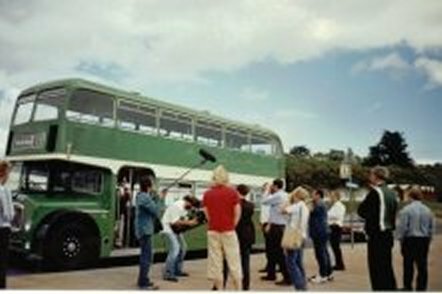 They asked if I was willing to meet with Reg Varney and interview him for a section to appear in 'The South Bank Show' I didn't need asking twice, so I and a few lucky club members who I invited went down to the South Coast near Budley Salterton. Myself and the 3 other fans from the fan club who were, the famous bus man Tommy Steele, Ian and Chris spent the morning with Reg onboard a Lodekka Bus with a film crew and what a great morning it was. 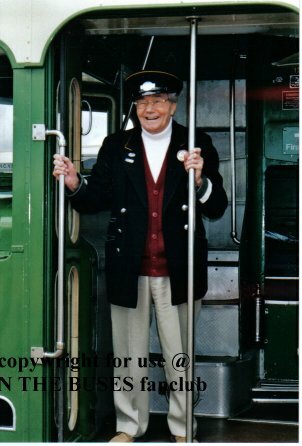 Reg had not been well and the production team and family did not want a mass of fans turning up and Reg getting overwhelmed as he was now 88 years young. Even so as you can see, he still had a twinkle in his eye. I'm glad to say I think Reg enjoyed it as much as we did and I must also say thank you to his daughter Jeanne. (Jeanne appeared in ON THE BUSES). After the filming we took a ride along the sea front to the cafe on the Lodekka. 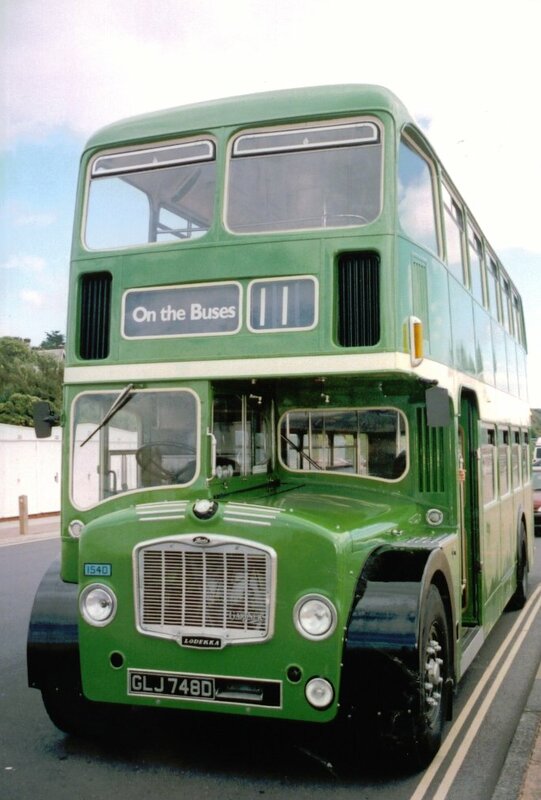 Yes it was the number 11 and yes it did have ON THE BUSES on the destination board. When we arrived at the cafe (on time) we had double egg and chips with beans, bread and butter and a mug of tea. A real busmens meal and it was "smashin" as Stan would say.